As writers, we all want to get more done. 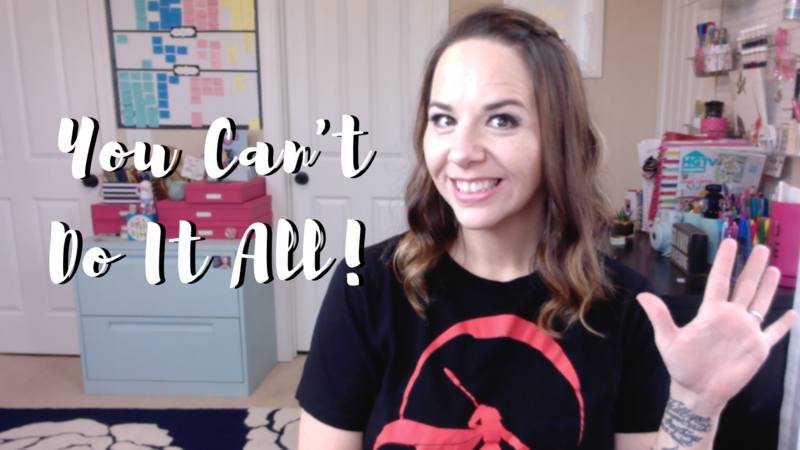 If you’ve been at this for any period of time, you already know just how massive an author’s to-do list can be, and one of the keys to getting it all done is admitting that you can’t! I’m serious. You can’t do it all. There are going to be times when you feel like you have to do it all. Like everything in your whole career is just going to fall apart if you don’t do it all. And yes, there might be stretches where you have to stay up all night to get that book to the editor on time or get your launch strategy moving forward. But that kind of lifestyle where you’re working all the time just isn’t sustainable. More importantly, it isn’t going to bring you joy. That’s why my fifth tip in my series of Lessons Learned over 8 Years of Indie Publishing is that you can’t do it all. Luckily, I have found some great solutions that have helped me to have the most productive, joyful year ever, and I want to share them now with you. I have put together a few resources I feel might help you figure out your ideal vision for your life and then prioritize your tasks and goals according to that vision. First, join my mailing list and you’ll receive these free journaling pages on how to figure out what you really want out of this career. These pages are a great way to really start thinking about what you truly want. These answers will help you guide you while setting your goals. I also currently have a planner on Etsy that I designed myself, called the HB90 Method. This planner walks you through your ideal vision for your life and gives you a step-by-step process for prioritizing your to-do-lists, setting your goals, and then breaking those goals down into projects and tasks. The only version currently up as of this posting is still the Q4 2018 planner that started in October and goes through December 31st. You can find it here. If you wait a couple of weeks, though, the new 2019 versions will be up for sale! I will be sure to post again when it goes live, but definitely join my newsletter list above if you want an email when it goes on sale. The third thing I wanted to mention is my intensive, 3-Day Bootcamp for Writers. This is a power-packed online course that is only offered a handful of times a year. It comes with a free copy of my HB90 Method Planner, too! During this bootcamp, I will personally take you through my goal-setting system for authors. We will take a deeper look at your life’s goals, your to-do list, set your priorities for Q1 of 2019, get your projects and tasks listed, and set up your kanban board. There is also a free Facebook group you’ll have access to for life, where you’ll receive support and motivation every week. My 3-Day Bootcamp will open for enrollment again soon, and I would love to have you join me in this course. If you are truly wanting to have the best year ever, this is going to be a great way to get started. Sign up here to receive an email when the course opens again. I’ll see you in just a couple of days with Tip #6!